The move to HTTPS protocol will not only give your users a greater sense of security but it will also increase deliverability and decrease issues with tracked links being blocked by spam and anti-virus software. Wanted to let you all know that IEM, even the current version 6.1.7, has an XSS (cross-site scripting) vulnerability that could allow anyone to use your IEM site’s install as a way to do malicious things like trick people into downloading malware, ransomware, etc. 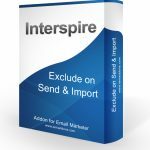 If you are having some issues getting your fonts to be the desired size in Interspire Email Marketer this tutorial is for you. 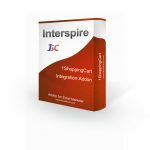 By default the Interspire editor does some interesting things when you try to change the font size. Recently our developer ran into a snag while working on a new addon for a client. 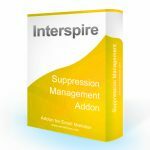 The addon was supposed to import new subscribers from a 3rd party service into Interspire via the API. We’ve done a few other projects like this in the past so it was driving us crazy that it wouldn’t work. Then you can take that form and embed it on any web page and then in your email campaign where you would normally put the unsubscribe link you instead can link to the new page with the unsubscribe form. 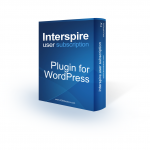 If you are looking for a way to automatically subscribe new WordPress users to your contact list on Interspire Email Marketer you need to check out this WordPress plugin.